A sinus infection is an inflammation or swelling of your sinuses. Your sinuses are normally filled with air. When the sinuses become blocked and fill up with fluid,they becomes a breeding ground for bacteria, which leads to infection. A bad cold can block the sinuses. So can allergies. Break down Excess Mucus by adding spicy foods (cayenne pepper, or horseradish, or wasabi) with apple cider vinegar and lemon juice. (There’s a nice recipe included). Drink it all down. 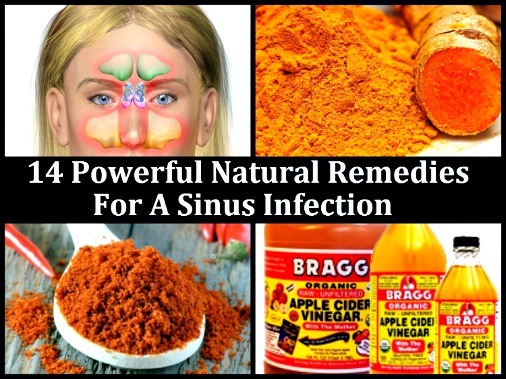 To see all of the sinus infection remedies, visit the 14 Powerful Natural Remedies for a Sinus Infection link below.